because all i’m making is fresh, squeezed orange juice. when i was in Serbia for the Summer World Universiade Games one of the things i got addicted to was freshly squeezed orange juice from the local SuperMaxi. The total cost was 295 dinars for a huge litre of the delicious stuff, or a bit less than $5. of course, i’d down the whole thing between the time we left the SuperMaxi and when we left the mall. 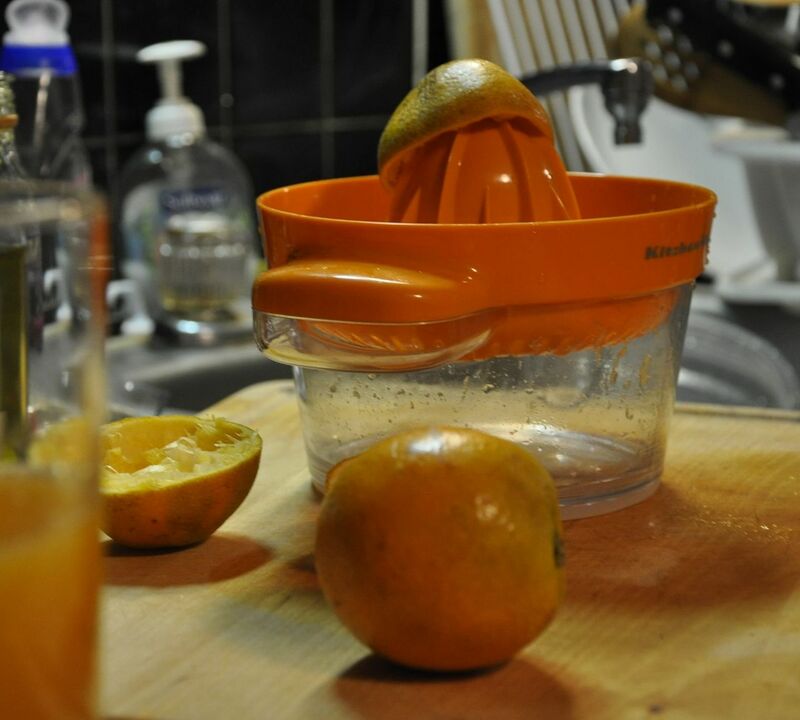 recently, i got a hand oj extractor, and went to Haymarket and bought a bunch of Florida juicing oranges. I’d never noticed but since the juicing oranges had really thin skins, they were hard to eat, but easy to juice, compared to navel oranges. and the juicer practically gutted each orange half, taking out all the pulp and leaving only a dried, empty shell. it was also alot easier than i expected. just think, while making juice you’re also getting in a good arm exercise. 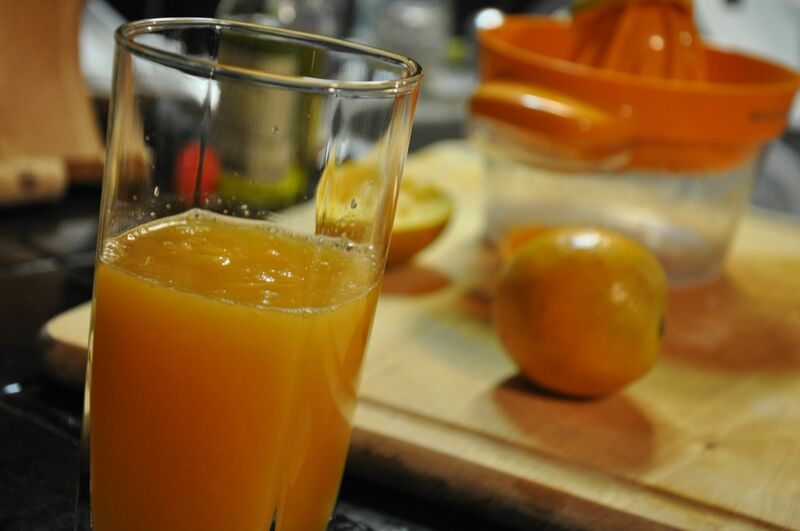 freshly squeezed orange juice is always a win-win situation. Ways to prolong procrastination: Make lemonade. Then make limeade. Then make a strawberry banana raspberry smoothie in my new Magic Bullet.